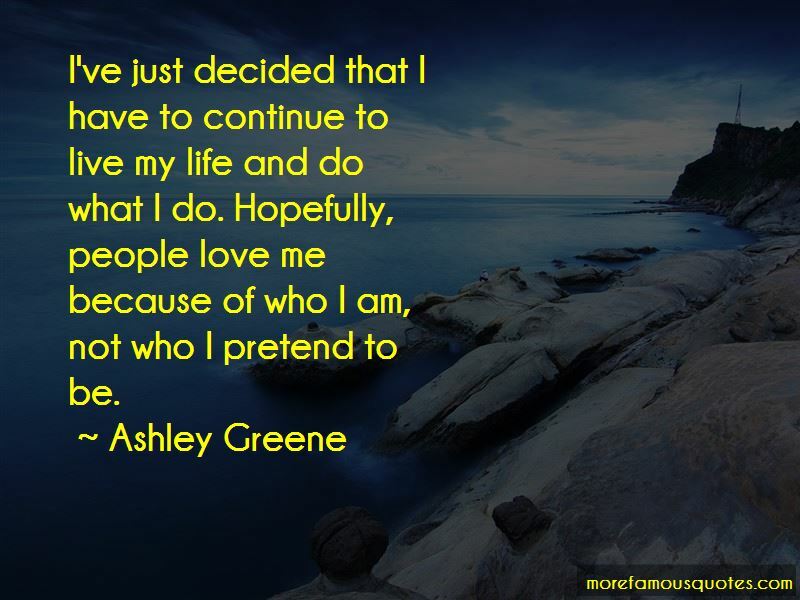 Enjoy the top 74 famous quotes, sayings and quotations by Ashley Greene. I gave him a bloody nose and lip, so needless to say the romance did not work out! Growing up my whole life, my mom was telling me how incredible and special I was and that I was going to change the world. I think it's important for girls to know that they can change the world, that they do have an impact. I love Cate Blanchett. She's extremely classy and has this knack for taking on roles and being very, very strong, but also embedding vulnerability. She has this relatable quality. I like the path she chose. I was working at a restaurant, I booked the role in 'Twilight,' put in my two weeks' notice, got fitted, flew to Portland, filmed, and then it started getting hype. That helped me get my foot into certain doors before the movie even came out. I honestly don't have a lot of friends that are actors. Most of my friends I've known since sixth grade and are out of the industry. It gives me a sense of reality rather than surrounding myself with a bunch of actors. I have a certain way of thinking where I see something, and I know that I want it and I make up my mind - and that's pretty much all there is to it. It was like, This is what I want to do, and I'm going, and everything's going to work out. I'm going to be an actress. There was no way around it. 'Twilight' is a phenomenon. And I'm so happy it's all captured on film. It's going to be something I'll always look back on, for sure. I'm an actor, so sometimes there are moments where I think about everything that's happening and I want to cry. I'm doing what I love and I will be doing it for a very, very long time - and it's amazing. A lot of people don't get to do that. I have a martial arts background and I'm very athletic. So I think if I can find a film where a female is a badass in it - that would just be amazing. They are sometimes hard to find, but I definitely want to do something like that. 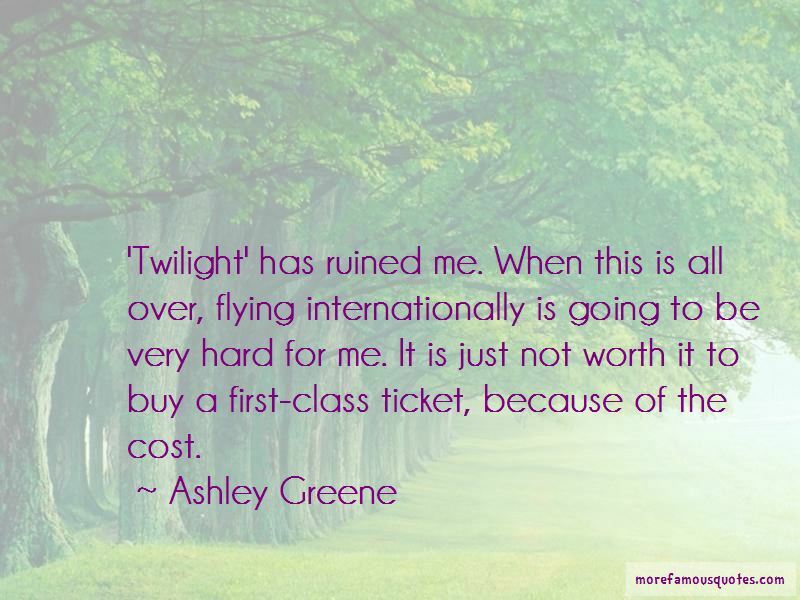 Want to see more pictures of Ashley Greene quotes? 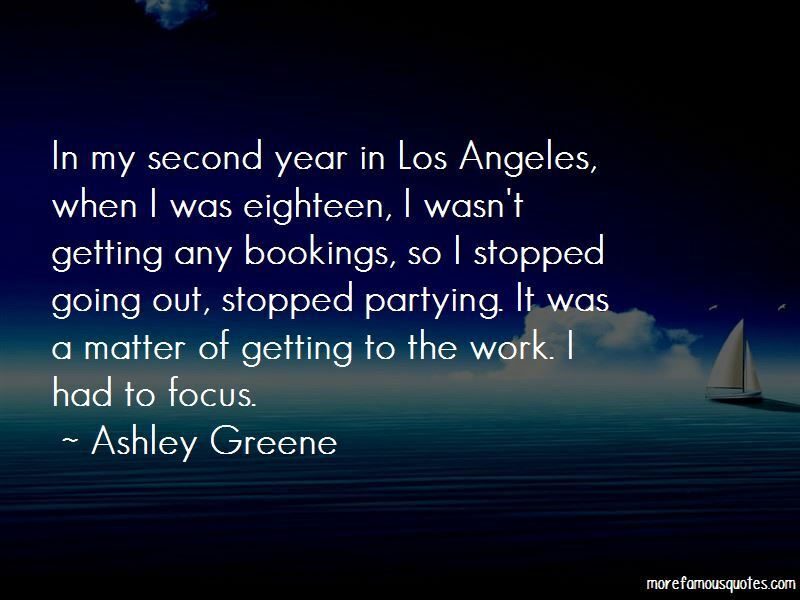 Click on image of Ashley Greene quotes to view full size.